After World War II, cars coming out of the Citroen factory were delightfully different – innovatively designed and handsomely styled. Even the low-cost budget models were charming and desirable – namely the 2CV, H Van and Ami. The ultimate was, of course, the futuristic DS. Upon its debut in 1955, everything else on four wheels immediately looked, well, antique. Throughout the ’50s, ’60s and even much of the ’70s, you bought a Citroen because you wanted something unique and stylish. But the last couple of decades witnessed a slide in Citroen innovation. 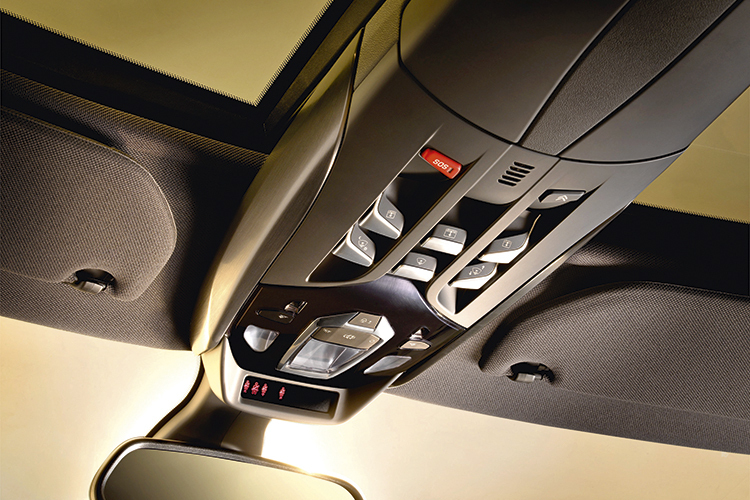 For a multitude of commercial, technical and financial reasons, blandness took centre stage in Citroen designs. A few interesting models plus a string of WRC wins were not enough to rekindle the old Citroen flame, which was founded on an inexplicable “Frenchness” in the cars that gave them sort of a cult status. 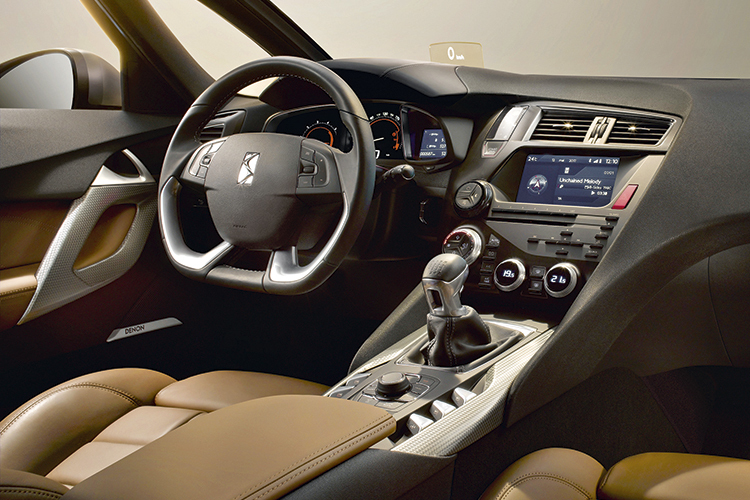 This is a Gallic grand tourer cockpit for the driver who appreciates genuine luxury and the latest amenities. Then in 2009, Citroen took a bold step by launching a new range of cars alongside its regular “C” models that promise premium chic in pretty packages. The parallel line-up was given the once divine Citroen label, DS. 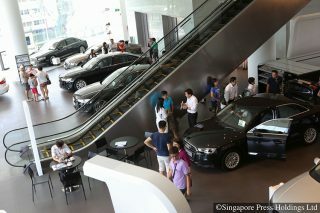 First, there was the exquisitely styled DS3 (which is also a fine drive), and that was followed by the DS4 (reviewed in Singapore right after this story). If the sliced bread analogy aptly describes Volkswagen’s Golf, the DS is a croissant spread with butter. And now, embellished with apricot, is the freshly baked DS5. As the number suggests, it is closely related to the C5, but there is nothing visible, inside or outside, that hints at its C5 underpinnings (albeit without the hydro-pneumatics). 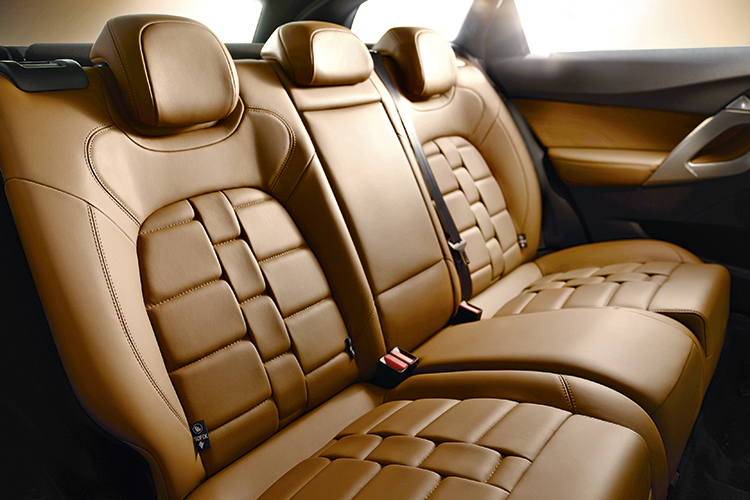 The Citroen DS5’s artistic armchairs are upholstered in special “watchstrap” leather and provide superb comfort. Neither are there any links to the shark-nosed 1955 DS, apart from the fact that it is also front-drive. 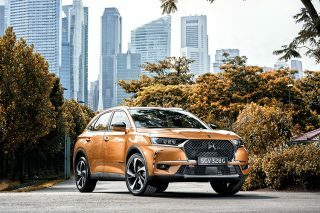 However, just as it was difficult to call the original DS a saloon because of its strange proportions, so too is identifying the DS5 – is it a saloon, or hatchback, or quasi-SUV? It sits higher than a regular saloon, but nothing close to a full SUV. 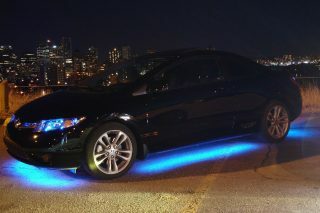 The roofline that tapers towards the rear is coupe-like, but it does not slope down to the waistline. Instead, the roof is “interrupted” at the back by the steep drop which forms an unusually slim rear window. Actually, the rear windscreen starts at the roof, but a rear spoiler divides it into two parts, with the lower section being more upright. 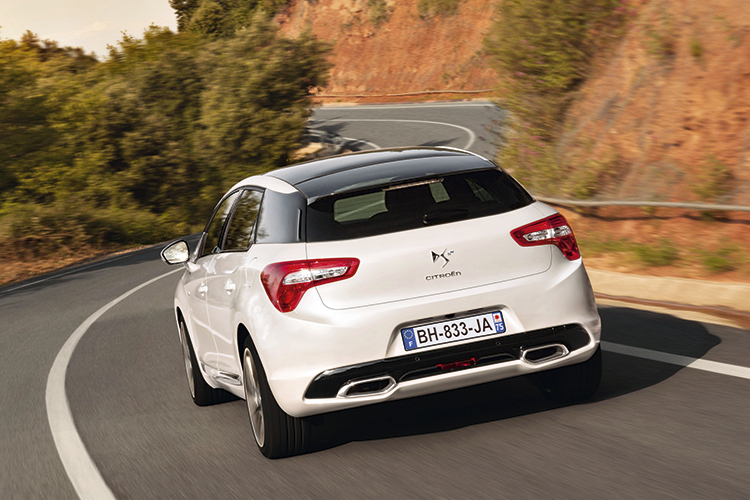 Shall we call the DS5 a hatchback coupe? Maybe, but it is certainly no station wagon or SUV, which is a relief to me (yes, I don’t like unsporty utility vehicles). The car’s cab-forward profile is cleverly camouflaged by matte aluminium trim (also available in a black chrome finish), shaped like a hockey stick that starts at the headlights and slants upward at the second A-pillar. This feature visually disguises the short, almost MPV-like bonnet. 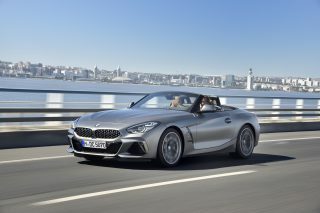 The shallow windows may make the doors look horrendously tall, but the designers have again tricked up the styling with an aluminium strip along the lower edge of the doors and a pronounced crease that appears over the front wheel arch, then does a hairpin turn to align with the C-pillar. All this makes the body appear slim and long. 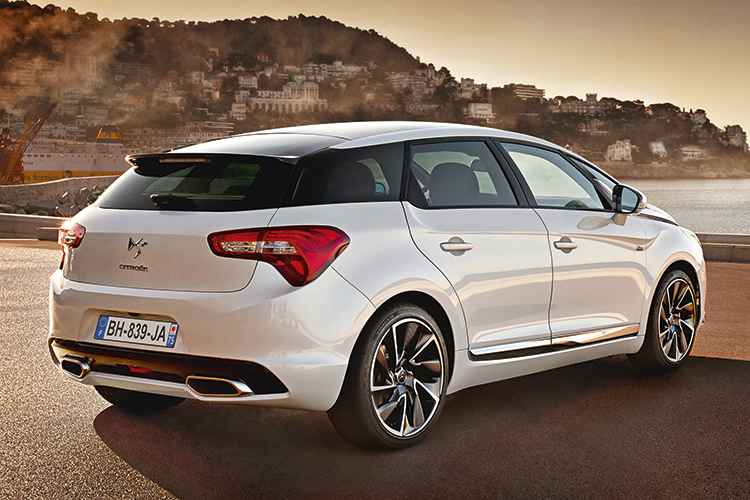 The DS5 isn’t something you’d call beautiful or sleek, but it is undeniably striking and stylish. Inside the car is where you really want to be – the interior is ergonomically excellent, with the quality of switchgear, trim and upholstery of the highest standard. The materials used look and feel expensive, just like the switches and rotary controls. But where the Citroen really scores is in the fabulous parts that the driver and passengers will see and use. Little details like the metallic edging on the window switches and knurled surround on the knobs contribute to the perceived luxury of Citroen’s best-ever interior to date. 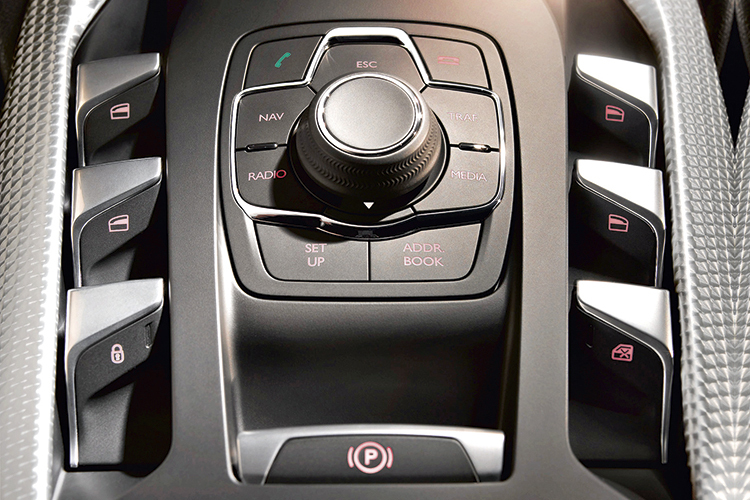 Airliner-inspired console switches add even more character to the DS5 interior. 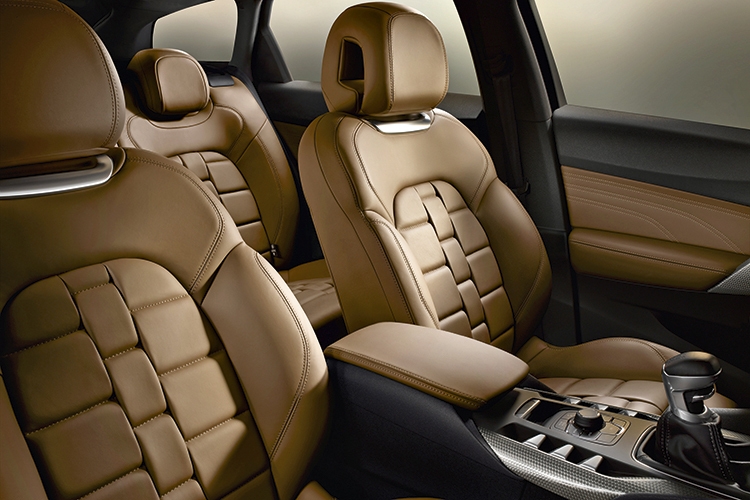 Front seat occupants have ample space and the nicest view of the dashboard and centre console. In the rear, while the seats are equally plush, legroom is limited, mainly because the gap under the front seats is narrow. No shortage of head and shoulder space for three-abreast seating, though, not to mention sufficient luggage space for five people on a road trip. Although a hybrid DS5 is available in Europe, local models will be powered by 1.6-litre engines with direct injection and a twin-scroll turbocharger. This is the same unit we’ve already seen in the DS3 and C5, and also in some Peugeots and MINIs. If it’s an automatic you prefer, you have to settle for the 156bhp version with the 6-speed transmission. Its 240Nm from as low as 1400rpm makes it a decent performer, with good acceleration in the mid-range and smooth power delivery. It runs out of steam beyond 4000rpm though, but the engine is fine for brisk urban work because it responds quickly to throttle input and accelerates well at medium revs. For the enthusiast, the DS5 offers a 200bhp powerplant, but you must be able to change gears with your hand while using your left foot for the clutch pedal (Class 3A drivers will be “disappointed”). A 6-speed manual gearbox is the only option with this engine. It is not a mere “chipped” derivative of the THP 156, by the way – changes include higher turbo boost pressure and a different valvetrain altogether, with variable valve timing on both camshafts instead of just the intake. The Citroen DS5 may have design details such as a cool clock, but it is still a sensible hatchback at the end of the day. 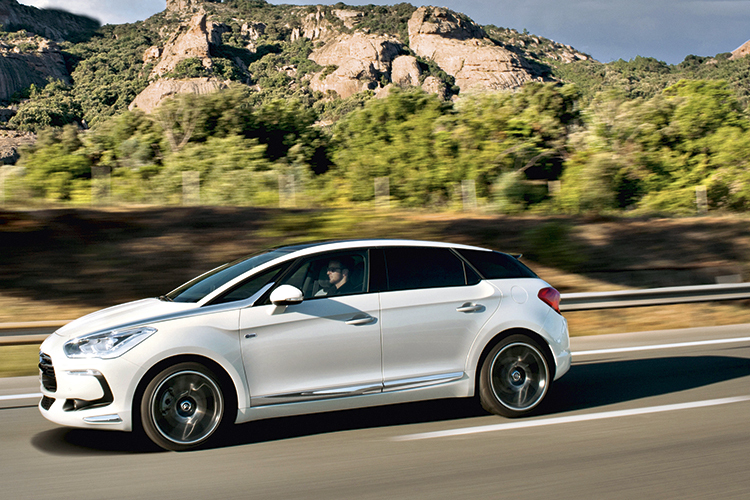 Maximum power in the fastest DS5 is available from 5500rpm all the way till 6800rpm. 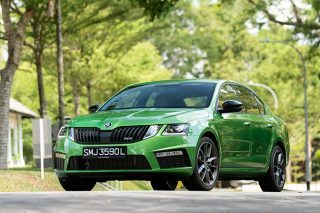 Its peak 275Nm torque, in the meantime, is available from as little as 1700rpm and does not wane till after 4500rpm. Given its energetic response, the claimed 8.2 seconds to reach 100km/h from rest seems a bit pessimistic. As with the other DS models, Citroen has compromised some ride comfort for a sportier feel behind the wheel. 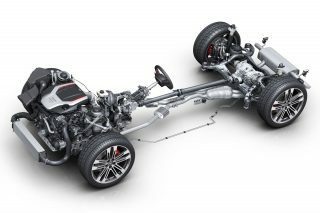 Over high-frequency surface irregularities, the DS5’s suspension is not able to isolate the cabin from the vibrations, which is most un-Citroen. 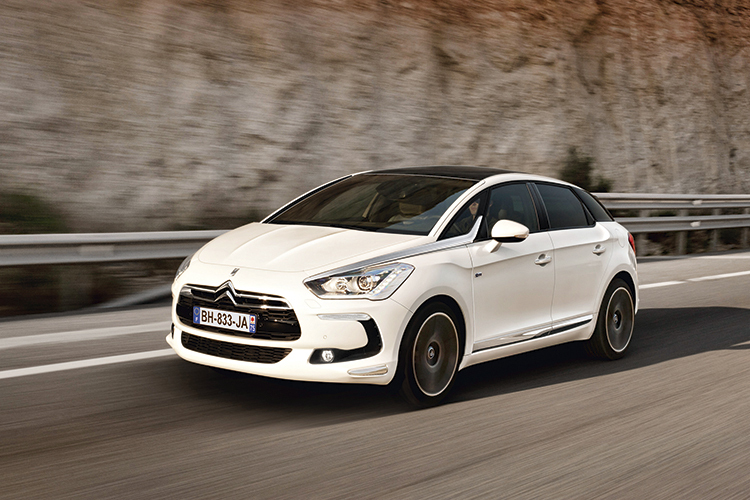 The Citroen DS5 is a mass market model able to achieve its upmarket aspirations. The brakes-and-suspension setup comprises four-wheel discs, MacPherson struts in front and a so-called “flexible transverse beam” at the rear. No fancy multi-links or wishbones anywhere, and a far cry from the hydro-pneumatic system the company is famous for. Still, for the performance available, the suspension is well up to the job and to a large extent, does make up for the average ride quality. Despite its high ground clearance, the DS5 rolls little and its chassis’ control over poor surfaces keeps the vehicle stable and planted. On the test car’s 235/40 R19 ContiSportContact 3 tyres, grip even in the wet is exemplary and the brakes can handle any task thrown at them. 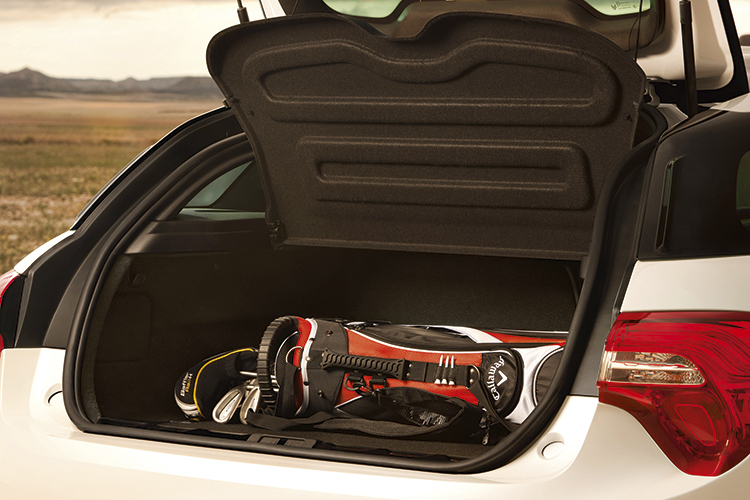 Extreme sportiness is not what the DS5 is about. While offering a fine level of performance and handling prowess that Citroen promises for its DS range, the car will draw more admiration for its attractive design. Its beautiful interior, in particular, is very impressive. 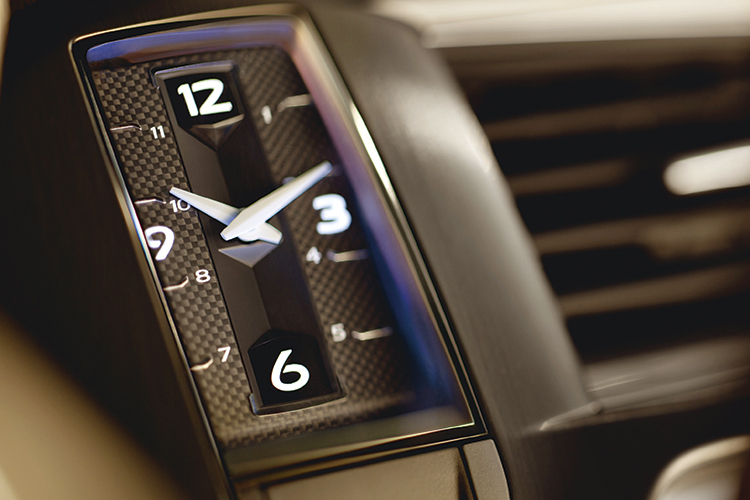 Attention to detail and build quality that equals or betters the best-in-class are what the DS5 does extremely well. This French debutante will be winning friends, we reckon.